I will start off by saying that I have read 'Half Bad' by the author Sally Green a few years ago. When I heard that she had written another novel, I was a bit intrigued to see what she would do with a different story line. I have found that I enjoyed 'The Smoke Thieves' a lot more that I did with 'Half Bad', which I will eventually re-read. So this book is a fantasy, and fantasies aren't normally my forte. 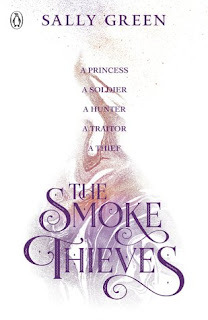 'The Smoke Thieves' is the first book in a new series, and I actually look forwards to when the sequel comes out. This book for me was quite slow-paced. There is a lot of being introduced to all characters and their back story, as well as watching them travel through the lands. 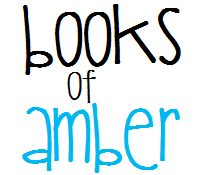 There are several characters who hold sections of the book: Princess Catherine, Ambrose, March, Edyon and Tash. Each introduction is explained well, and I didn't find myself confused. When reading the book, one of the things that I found, was that I could picture the scenes well. I can honestly see this book as being a TV show. Two characters I despised was Boris, the brother of Catherine, and Catherine's father, King Aloysius. However, we as a reader are meant to have a dislike for these two. I was suspicious of Boris about fifty or so pages into the book. There is a big event around three quarters of the book where there is a plot revealed, and I really enjoyed finding this out, and it kept me going. The ending contained some suspense and action, which leas me to wanting to read the sequel when it's out just to find out what happens next. I think the reason I docked half a star was because there were some of the sections I found more exciting than others, however I still persevered, and ended up enjoying the book in general. In general, I definitely recommend people to give this book a read. It's different, and I think if more people read it, it will go far.